Power Plant, as the name suggests, is based on a futuristic power plant theme and is beautifully rendered in stunning 3D high definition graphics and sound effects. Players can enjoy a wide coin range and full gaming availability on all devices. In keeping with their policy to always produce unique, eye catching and highly entertaining video slots, Yggdrasil has come up with another winner. 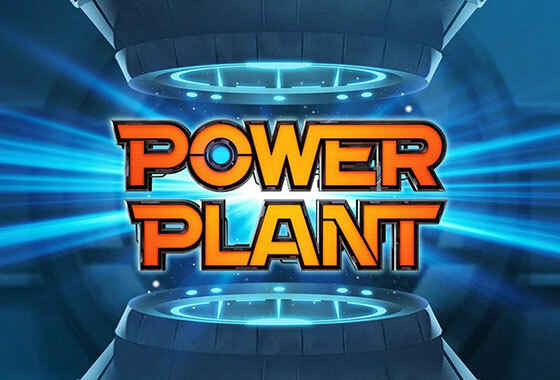 Power Plant, as the name suggests, is based on a futuristic power plant theme and is beautifully rendered in stunning 3D high definition graphics and sound effects. There are several unique features to unlock in this 5 reel and 34 payline video slot including Yggdrasil’s signature Golden Bet Feature and expandable paylines up to 82 in total. Players can enjoy a wide coin range and full gaming availability on desktop, smartphone and tablet devices. Power your way to massive totals with Power Plants expandable paylines. Start off playing on the standard 5x4 screen with 34 paylines. Click the Golden Bet mode to expand the game from 5x4 into a massive 5x8 screen, giving you 82 paylines for bigger winning combos. Unlock Power Plant Mode and trigger a random bonus feature including Super Stacks, Nudge, Extra Wilds and Random Wins. Golden Bet Feature: Clicking on the Golden Bet Feature (at the bottom of the reels), will expand the screen so it doubles in size, taking the game paylines from 34 to 82. Playing in Golden Bet will also add more special features when the Power Plant bonus mode is triggered. Power Plant can be played across various devices including desktop, smartphone and tablets. The game graphics are superb and look especially vibrant on HD mobile screens, particularly in portrait modes on tablets where the expanded 5x8 screen really shines. All the Power Plant game features described here are included in the mobile version.